Please ensure you check tide times before embarking on this walk and always take note of your nearest escape route from the beach. 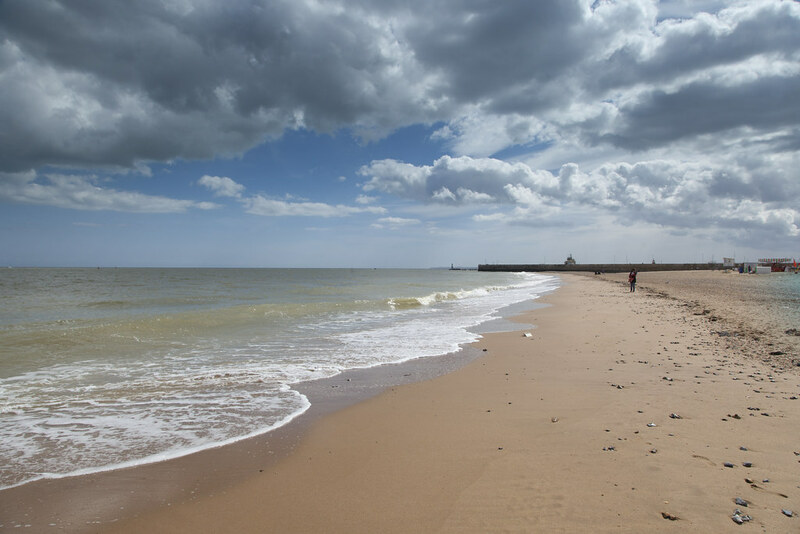 The Ramsgate to Margate walk is stunning, allowing you to explore the most South-Easterly corner of England. This is a walk not to be rushed, so ensure you allow a full day to fully appreciate some of the UK’s best coastal scenery. 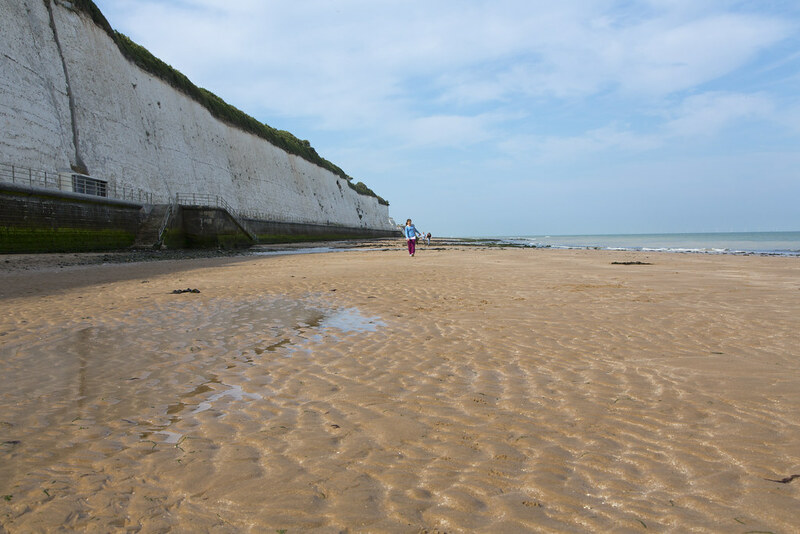 Walk past majestic white chalk stacks and follow in the footsteps of notorious smugglers as you follow the dramatic beach landscape passing through the prettiest bays Kent has to offer with their unique charm and character. 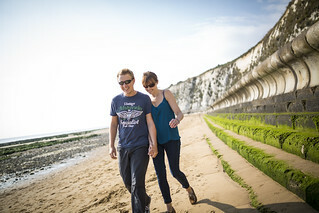 Everyday life will simply melt away as you take in life a different way – Whether your preference is fossil hunting or paddling in the sea, soaking up the sun in a deck chair or dining al fresco in a Royal Harbour, this walk is one of the most stunning in Kent. 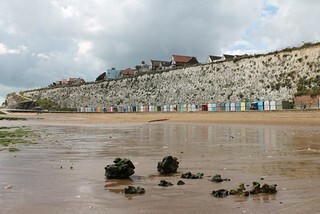 Your Beach Roamer walk starts in the bustling town of Ramsgate which is an eclectic treat. 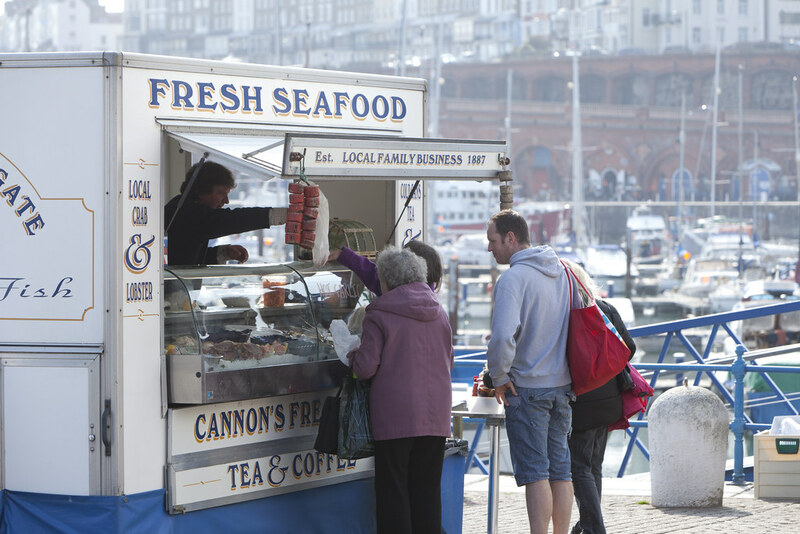 Be sure to explore the Royal Harbour of Ramsgate – the only one of it’s kind in the UK. 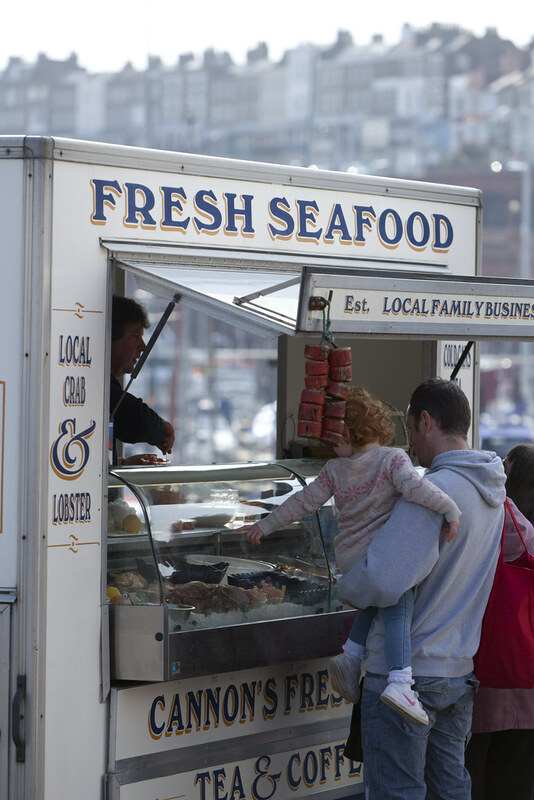 Explore the arches surrounding the harbour, each arch home to unique, independent boutiques, bars and eateries all of which offer a wonderful Kentish welcome. 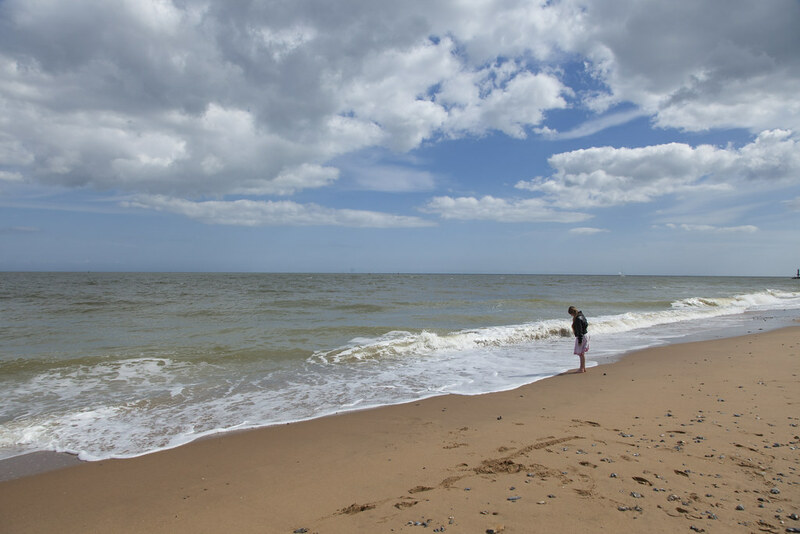 Ramsgate is the ideal place to begin your active adventure with outdoor pursuits ranging from diving to canoeing all on offer. 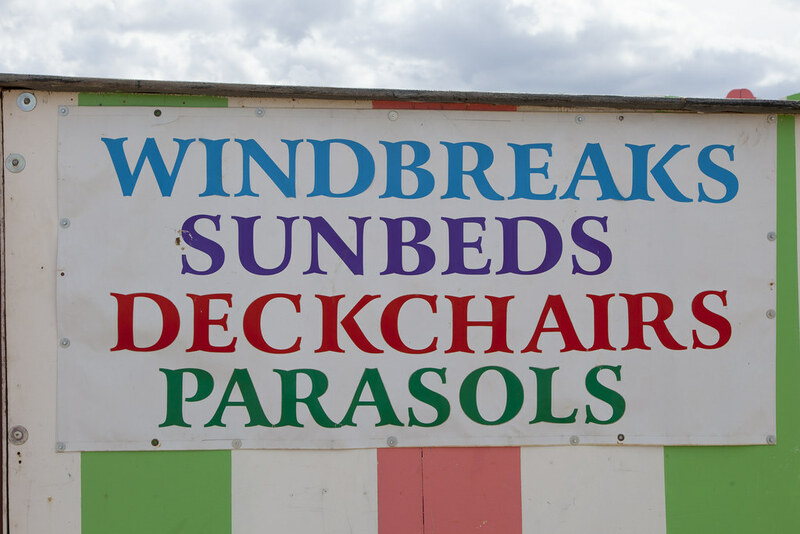 As you head off on your walk you will pass traditional seaside amusements which are always a hit with younger members of the family, and of course the mandatory ice cream parlours. 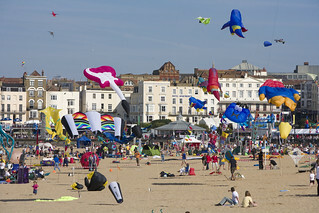 Ramsgate is also home to the Ramsgate Sea Garden which you will walk right past and a range of pretty street-side parks and colourful displays of seasonal bulbs and even a town waterfall! 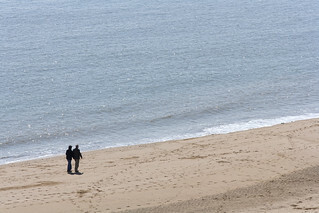 The walk takes you past quaint beach huts, and secluded bays. Don’t forget to explore the wonderful splendour of the Victoria Gardens as you pass through taking in unbeatable views across the English Channel. 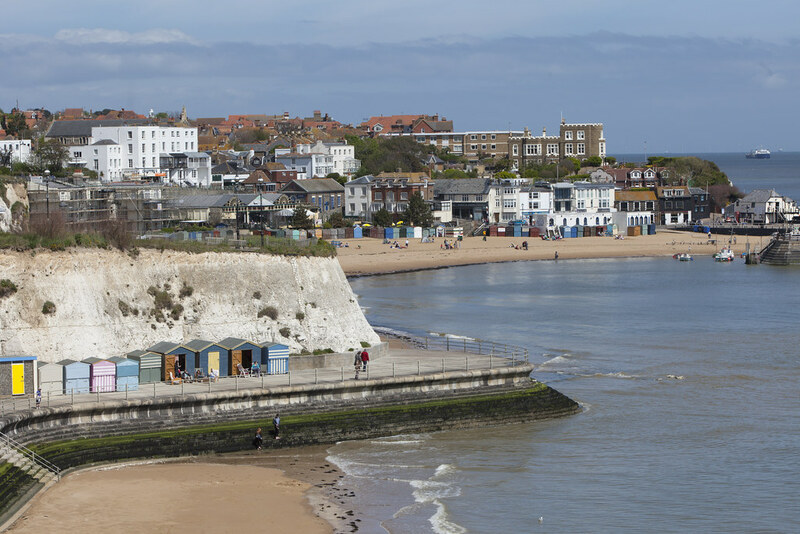 Then you’ll reach Broadstairs home to quaint side streets, a range of pubs where you can stop for well earned refreshments and independent shops all welcoming to walkers. 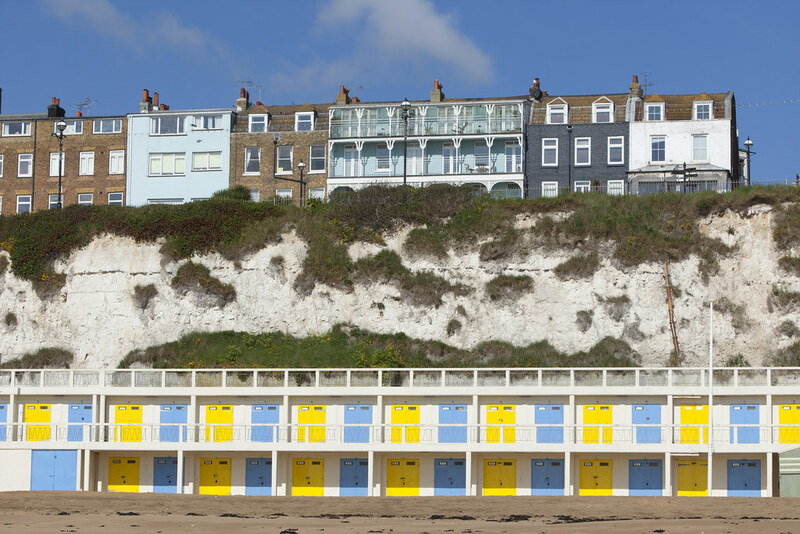 Charles Dickens admired the beauty of Viking Bay so much his ‘Bleak House’ is situated on the cliff top here. 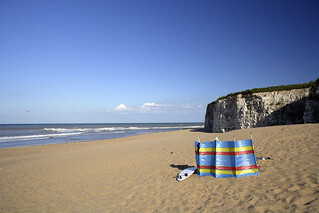 Passing through Joss Bay you are likely to see surfers on the beach here – Joss Bay is the best place to surf in Kent and welcomes beginners and experienced surfers at it’s very own Joss Bay Surf School. There is also a golf course here all contained within the delightful Bay setting. 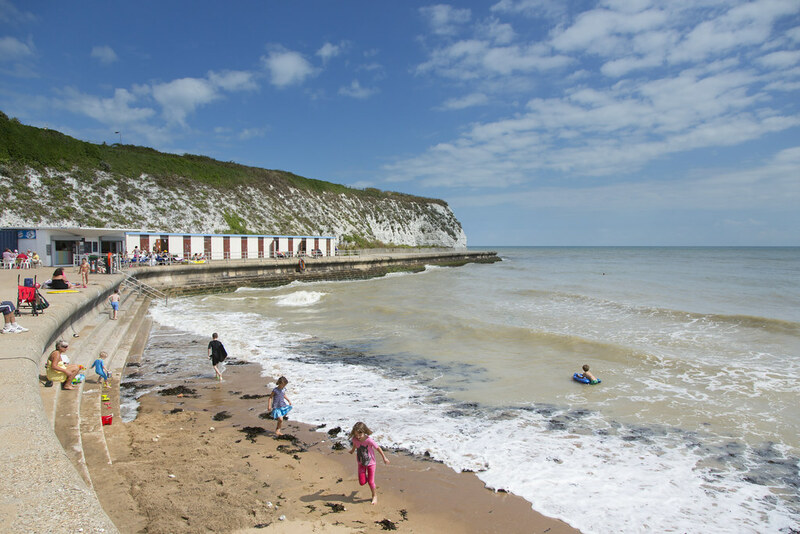 With a myriad of pubs, local businesses and inviting caves, coves and rock-pools, sea bathing pools and a lido to explore, you won’t be short of inspiration along the way. Ensure you allow enough time to ‘divert’ to these wonderful seaside escapes to make the most of your day. The walk ends in Margate home to the Turner Contemporary art gallery and the well known Dreamland amusement park. 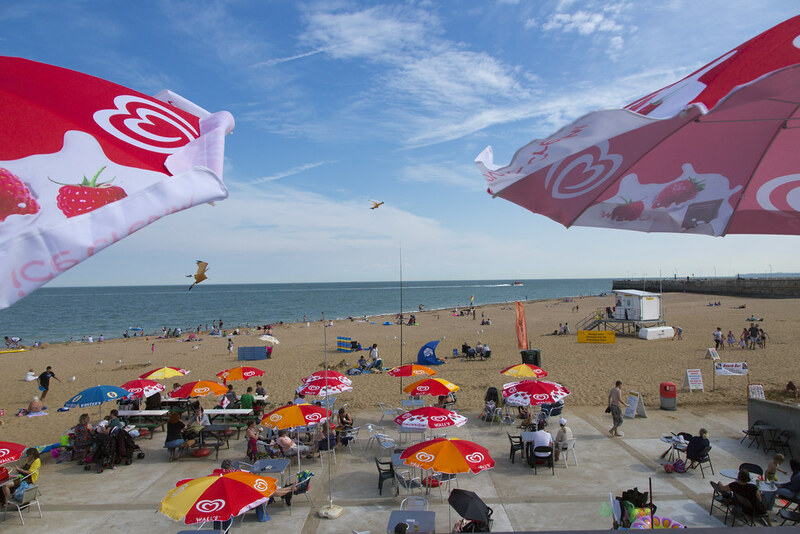 Be sure to stop at the art gallery to admire the work of world renowned contemporary artists and perhaps some light refreshment before continuing to explore other Margate delights such as the sands, seaside amusements and fish & chips before heading back to Ramsgate by public transport for a well earned meal al fresco or the cosy fireside of a local pub. Head away from Ramsgate Harbour and head towards the Royal Victoria Pavilion – it's a large building with a distinctive decorative entrance – you will be heading in the right direction when you pass the Edwardian lift on your left. Continue following the promenade. You will shortly come to a fork. Continue along the promenade with the beach to your right. You will pass by a yellow and black metal vehicle barrier. Continue along the sea wall. A ramp leads you down to the sandy beach. 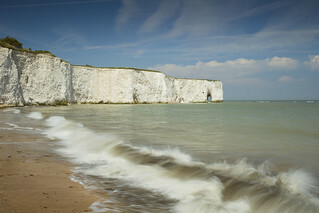 Continue onwards directly along the foot of the white chalk cliffs for approximately 200 metres. At this point you can either take the switch-back path up to the clifftop or continue along the beach at low tide to Dumpton Bay. If continuing along the beach – continue onwards for approximately 630 metres (the sea wall will be on your left) until you reach Dumpton Bay. Continue to follow the sea wall round the bend passing a row of wooden beach huts into Louisa Bay. Look for a ramp on your left that leads uphill away from the beach. Go under the footbridge and take the steps on your right that lead to the clifftop. Turn left at top of steps and enter Victoria Gardens – a small circular walk leads to the bandstand located at the top of Broadstairs promenade. Take either direction of the circular walk to reach it. Continue onto the promenade following the ornate white railings on your right. 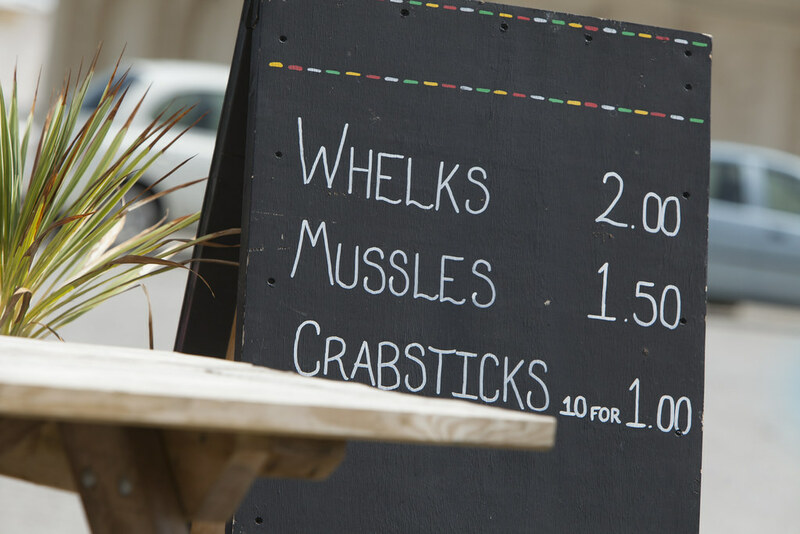 Follow the promenade as it slopes down past a range of independent shops and cafes. 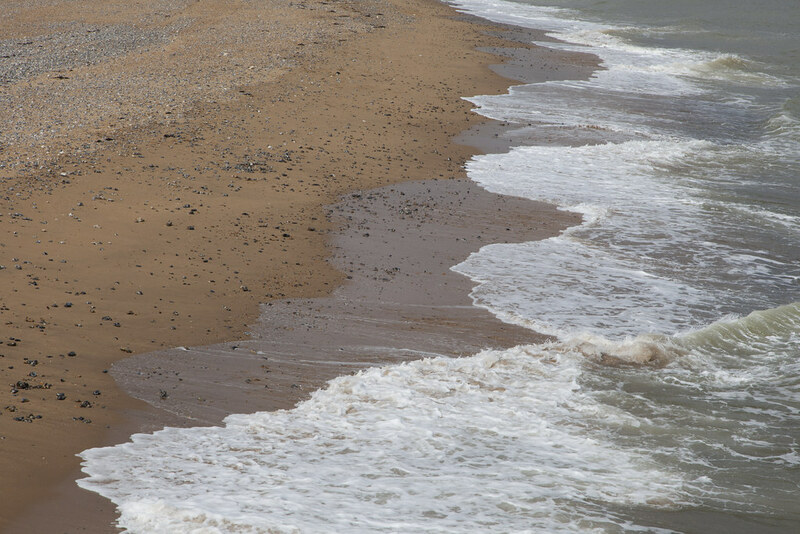 Bear left through the car park and pick up the promenade walk along the coast. At the end of the promenade at Stone Bay turn left and take the steps between the cliffs. 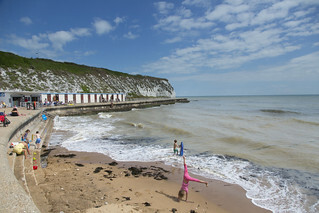 Alternatively at low tide, continue along the beach to Joss Bay. If taking the cliff top walk, turn right at the top of the steps and continue along the footpath. Continue ahead through the field opposite. Look for the lighthouse and follow the footpath round the field to Joss Bay. When you reach Joss Bay look for the beach shop and then cross the road. Turn right along the Viking Coastal Trail. At the road junction, cross the road and turn left. Head downhill to Kingsgate Bay. Take a sharp right along the Viking Coastal Trail. Continue past the car park and gold club. Look out for a ruined flint tower fort at White Ness Point. Turn left just before the spit, following the trail through Palm Bay and onto Walpole Bay. Turn left at the Lido and follow the road around it, returning to the Viking Coastal Trail immediately after. 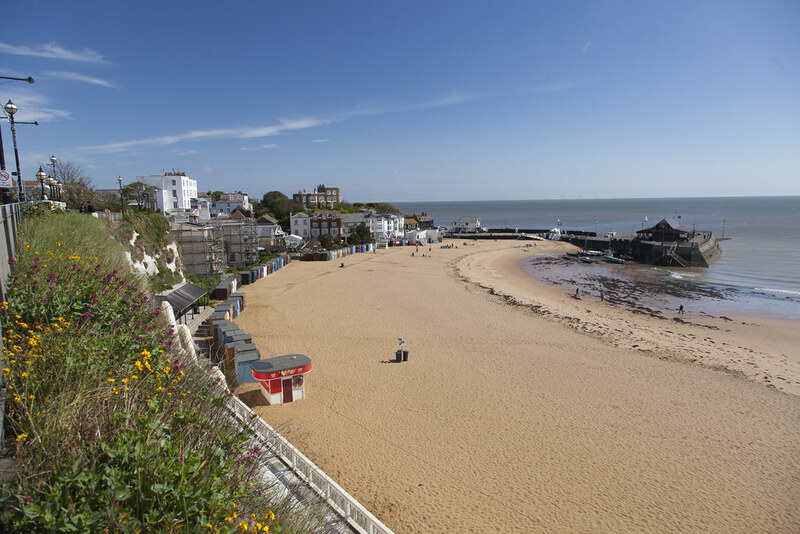 Just around the corner from Broadstairs' main sands, Stone Bay is the perfect escape from the hustle and bustle of the town. 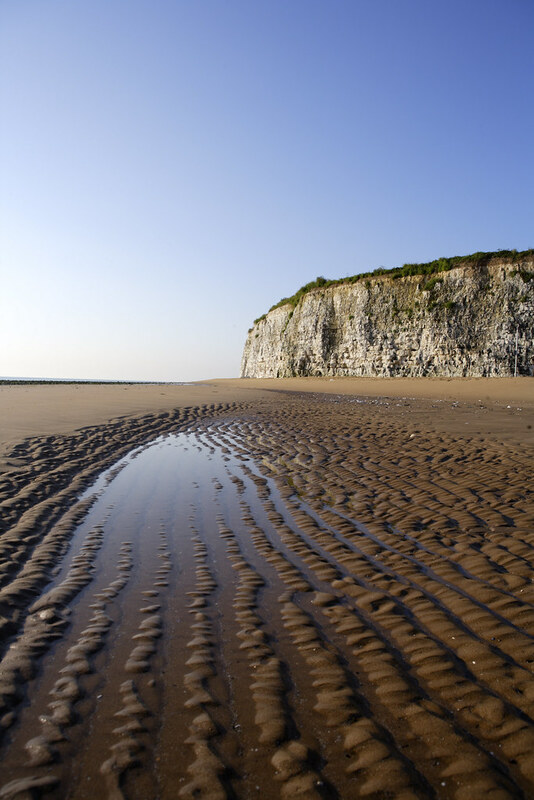 Not far from lively Margate, Walpole Bay's sandy beach offers plenty of rock and tidal pools to explore and delve into.